Carmel Productions did it again with another magical I Feel event. 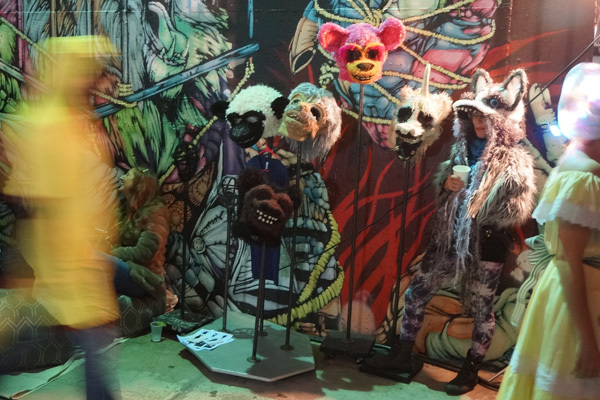 This month at I Feel: Land of the Living Toys, hundreds of brilliantly costumed art and house music enthusiasts came out to share a brightly colored evening, into early morning. 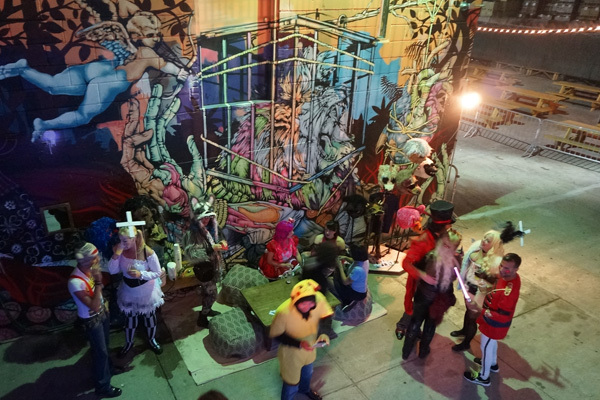 huck and stuff popped up with a little tea stop and masked mayhem and danced till dawn.